I went to Bible Gateway website to help me decide on what scripture to use on my digital artwork. 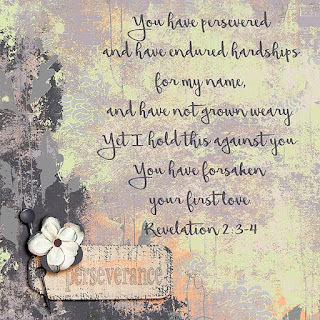 I typed in the word "persevere" and one verse that stood out to me was Revelation 2:3 and when I then checked to see what the verses surrounded that verse I felt the Lord was telling me something... even though I have been triumphant over the difficulties I have been facing I have to a degree lost my first love. The difficulties I have been going through are that on 31st March my dear husband had a massive heart attack on the morning of the day our town became cut off by floods. The Ambulance being a 4wheel drive got through the water already coming over on the the ways into our town so Ken got to hospital where that afternoon he had a procedure performed to put a stent in his heart. With the flooding I was not able to get to visit Ken from the Friday morning until the following Tuesday. Thankfully no flood waters came into our yard at all. Ken spent a week in hospital and while there contracted a chest infection which hampered his recovery so it has been slow but now the coughing has stopped he is getting better more each day. But life has changed some in that he now needs to take medications which neither of us had to date needed to take. The medications are ones that he will need to take for the rest of his life. We are also now looking at how we can improve our diet to help him keep his heart healthier. I praise the Lord for the answered prayers as there were people all over the world praying for Ken. Now I need to stop just going through the motions of living... I need to get back the real Joy that I know I should have because of all the Jesus has done for me. Sorry to hear about your husband , it must have been difficult not being able to visit him. So glad he is getting better. 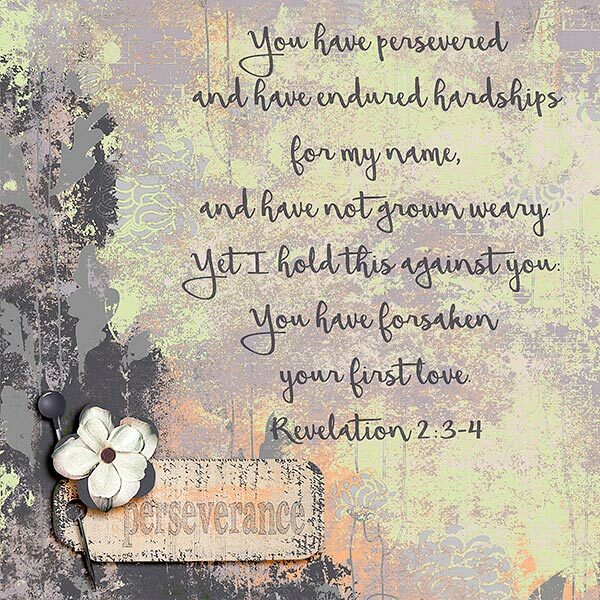 Your artwork is lovely and the verse is a good reminder for us all during difficult times!